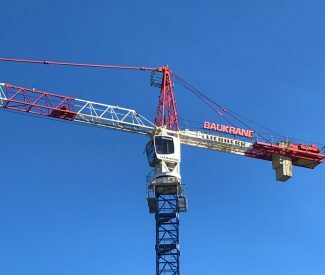 BAUKRANE provides comprehensive services to customers in the field of rental and sale of construction equipment since 2008. 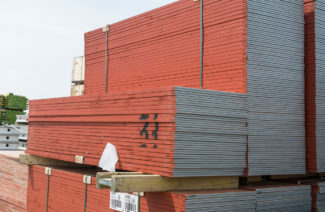 We specialize in the rental and sale of shuttering systems (formwork), OHS systems, top and bottom-slewing cranes, construction site fencing, container units and accessories for reinforced concrete works. For each of these services we offer technical and logistic advice. 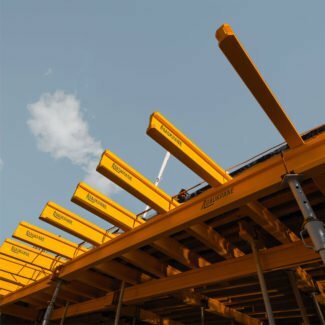 Top and bottom-slewing cranes – we are wherever special lifting equipment is needed to carry out all kinds of construction and engineering projects. 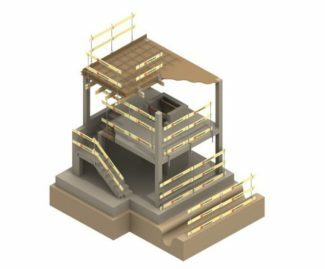 Wall and slab formwork systems – the highest quality systems allowing for shuttering of difficult and complex shapes, while maintaining high quality of the final surface. 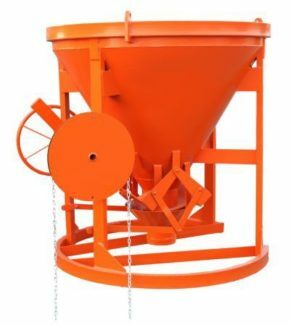 Health and safety systems – guaranteeing safe work and improving the course of the project, which, with a large awareness of investors and contractors, make them mandatory equipment for each construction site. 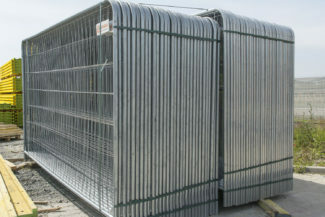 Construction site fencing systems, which are an ideal solution wherever there is a need for quick, aesthetic and effective isolation of the area. 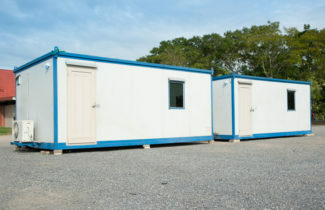 Container units in any configuration, with any parameters, prepared individually according to the inquiry, constituting the back-up facility of the construction site or meeting other requirements of our customers. The offer includes both rental and sale. We provide transport and assembly. Lorry transport together with HDS service (palletised materials, bulk materials, containers, machines, barracks). The rental of specialized trucks equipped with HDS guarantees time and cost savings. 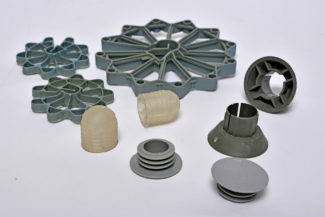 A wide range of accessories for concrete. COMPREHENSIVE SERVICE FOR EVERY CONSTRUCTION!